Click on the SDK manager icon in the Android Studio or Manually open SDK manager. 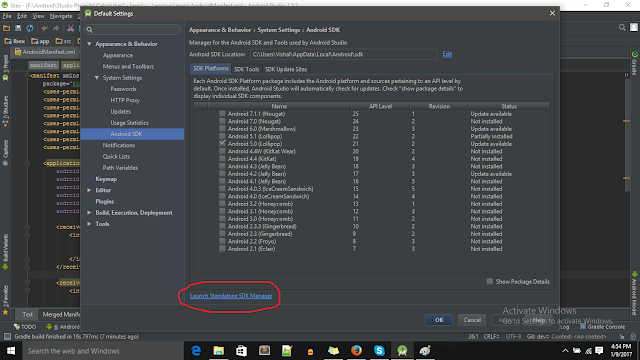 Now click on the Launch standalone SDK manager. 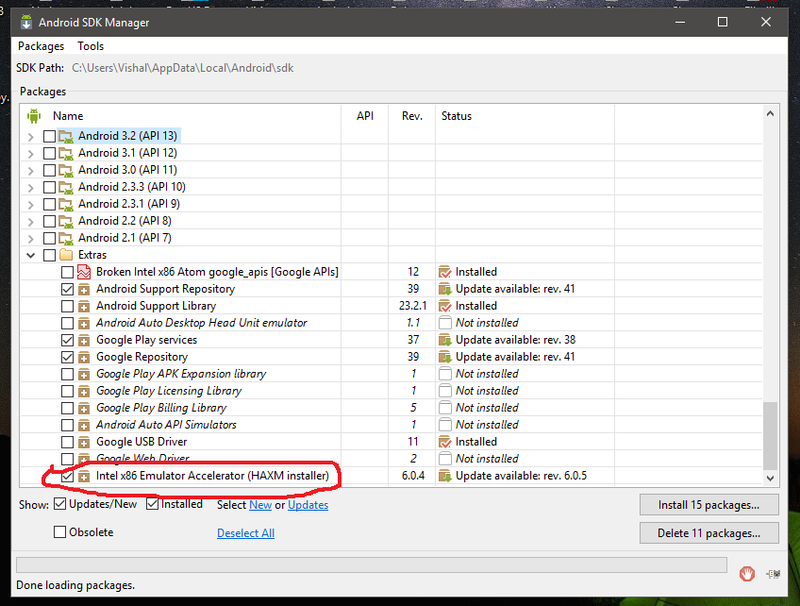 Scroll down to the extras and select the Intel Emulator Accelerator(HAXM Installer) and see it status next to it, if it's already installed you don't need to do anything, or else click on the install button and let it install. Keep in mind this just download the Intel HAXM but doesn't install it, you need to install it manually. 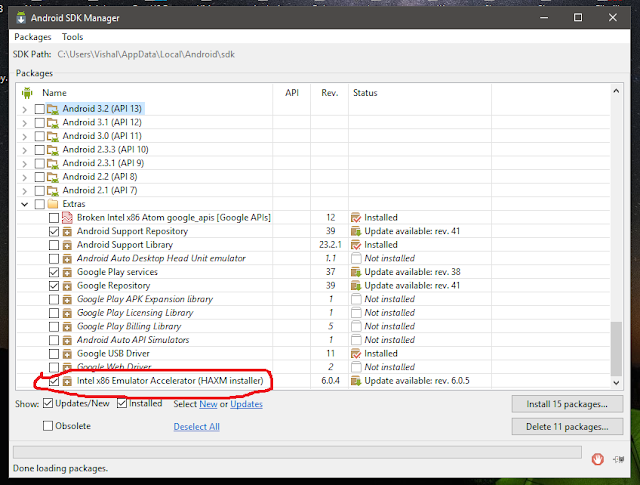 Go to C:\Users\YourUserName\AppData\Local\Android\sdk\extras\intel\Hardware_Accelerated_Execution_Manager in Windows or corresponding SDK folder in any other OS and double click on the install file and install it. 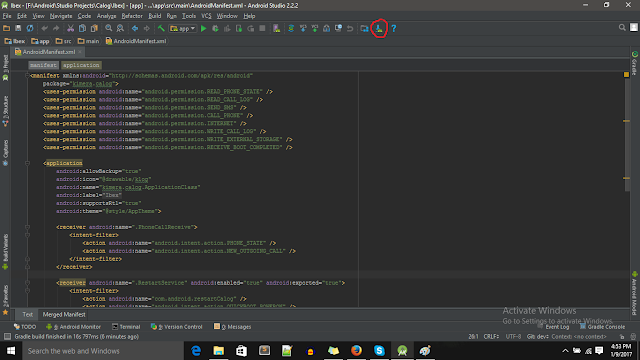 That's it, you just need to restart Android Studio and you should be comfortably able to open the AVD now. If you have any problem do let me know in the comments below or message me. Cheers! Is NOT Compatible with Windows, help me with this issue, please. Make sure your device supports Virtualization. Or Else it won't work.